One of the top 75 theaters offering summer productions in North America. – "The New York Times"
East Lynne Theater Company (ELTC) is a proven destination for theater lovers who crave the adventure of discovery. By bringing the American Spirit to the stage with its blend of provocative premieres and timeless classics, this award-winning Equity professional theater provides a portal to the past for a better understanding of the present. ﻿﻿Warren Kliewer’s extensive theater work included The Investigation on Broadway. After his own “investigation,” he discovered that not one theater was dedicated to American theater classics and our theatrical heritage, so in 1980, he founded ELTC. He envisioned it as “a vehicle for rediscovering the enduring values of the American heritage and for deepening our understanding of what it means to be an American." He also hoped that others would join in this rediscovery, and, happily, this has happened. The Metropolitan Playhouse in NYC is only one example of other companies who embrace the challenge and rewards of research and discovery of lost gems. Warren named the company after a popular play that was first produced in Brooklyn in 1863: East Lynne, adapted from Ellen Wood's novel. At one time, there were three different productions in NYC, and when a stock company wanted sure revenue, East Lynne was the show of choice. The 1916 silent film version starred Theda Bara, and the 1931 film was nominated for the Oscar for "Best Picture of the Year." When Warren passed away in 1998, ELTC's Board of Trustees asked Gayle Stahlhuth to be the next artistic director. Both ELTC and Gayle are in the newest edition of The Cambridge Guide to American Theatre (2008). 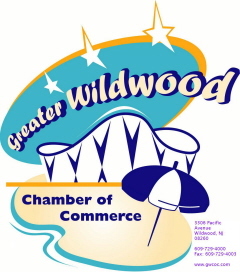 ELTC first performed in Secaucus before moving to The William Carlos Williams Center in Rutherford. The company was asked to move to Cape May in 1988, after Mid-Atlantic Center for the Arts and Humanities sponsored three ELTC touring shows. It's performance venues included The Henry Sawyer Room at The Chalfonte Hotel and The Cape May Institute that was located behind The Christian Admiral Hotel. Both the Institute and the Admiral have since been torn down. In 1999, Gayle's first year as artistic director, she asked the minister of the historic First Presbyterian Church of Cape May if the church would be willing to rent to ELTC. Meanhwile, ELTC has pursued a "home-of-its-own" including the Methodist Church on Lafayette Street. that now houses three condominiums. ELTC's directors, musicians, designers, and actors work together throughout the year to create quality productions, many not seen anywhere else. When patrons experience ELTC’s productions, they witness the company’s engaging perspective on American theater and its unique contribution to the world of theater. Between 1980 and 2018, ELTC has produced 181 different plays and musicals (NOT counting repetitions), including 53 world premieres and 16 New Jersey premieres. ELTC takes pride in providing theater-goers, actors, and directors, alike, the experience of seeing and working on plays by American Masters like Rachel Crothers, George S. Kaufman, and Eugene O'Neill, as well as new works based on American literature and history by playwrights including James Rana, Jan Buttram, and Laura Gunderson. ELTC's artist-in-residence programs in schools and summer theater workshops teach students acting, playwriting, and production. The company's touring shows travel throughout the country. During the Cape May Performing Season (March and June through December), the company is in residence at the historic First Presbyterian Church of Cape May, right in the center of town, a block away from the beach. * In August 2010, for the 3rd year in a row, an ELTC production was chosen to be part of the American Masterpieces Series, a program of the National Endowment for the Arts, acknowledging those who introduce Americans to “the best of their cultural and artistic legacy.” The program was discontinued after 2010 due to lack of funding. * ELTC was one of five Equity professional theaters asked to decorate rooms in Drumthwacket, the NJ Governor’s residence, for the holidays in 2013. In the Governor’s Study, ELTC featured three costumes, designed and built by Marion T. Brady, for ELTC’s 2012 production of It Pays to Advertise, first on Broadway in 1914. A framed sign, also from the play, advertised “Thirteen Soap: Unlucky for Dirt” designed by Mark E. Lang. * In May 2016, ELTC remounted its highly successful 2015 production of Mr. Lincoln in Cape May, before taking it to the Bloomsburg Theatre Ensemble in PA.
* ELTC received a commission from the New Jersey Historical Commission and the New Jersey State Council on the Arts to write a play about America's involvement in World War I to commemorate the 100th Anniversary of this country's entry into the war. A Year in the Trenches was first performed as a staged reading in several locations in the state, including McGuire Air Force Base/Fort Dix and was fully produced in Cape May for ELTC's 2017 Season. It was so well received that it returned in 2018. 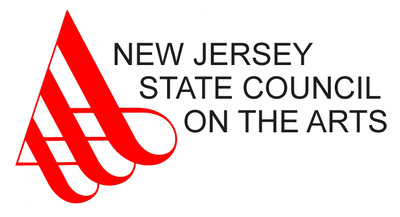 * In the spring of 2018, the State honored ELTC when the NJ State Senate and General Assembly passed a Joint Legislative Resolution, stating at the end of a list of kudos, “It is altogether fitting and proper for the N J Legislature to recognize East Lynne Theater Company as deserving of accolades and praise, and to salute it as one of the State’s most important cultural treasures.” To read the Resolution, click here.